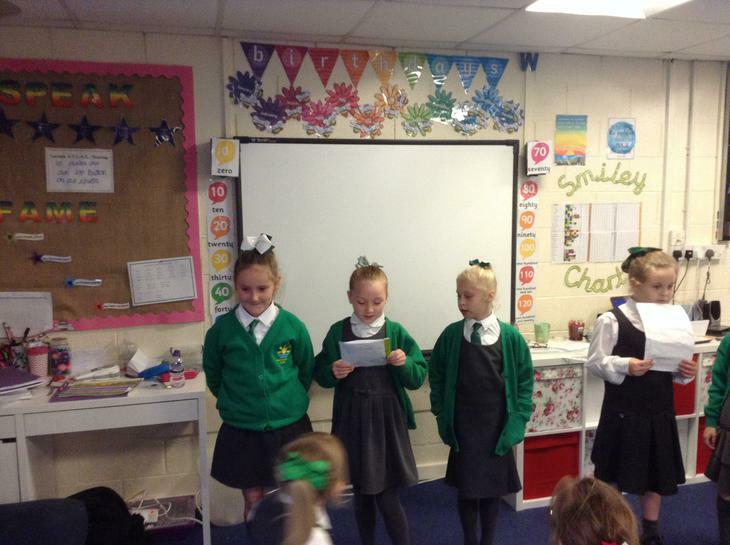 In English, we have recently started using the Power of Reading. 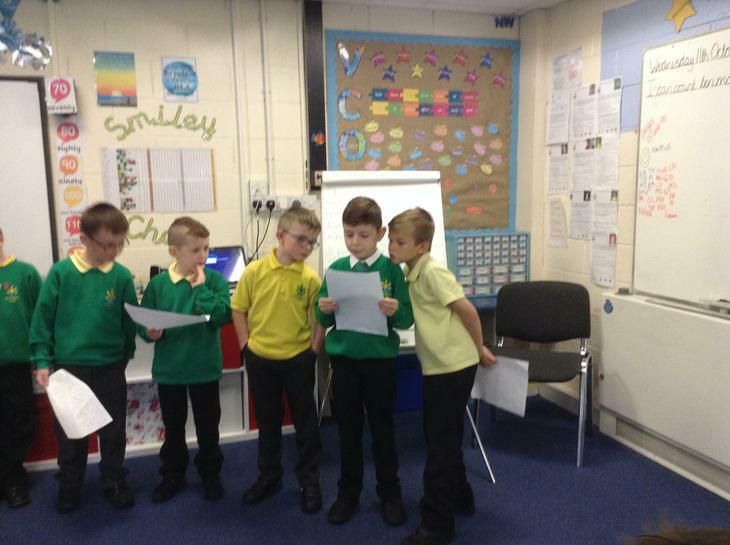 We are looking at a story that we don't even know the name of yet! 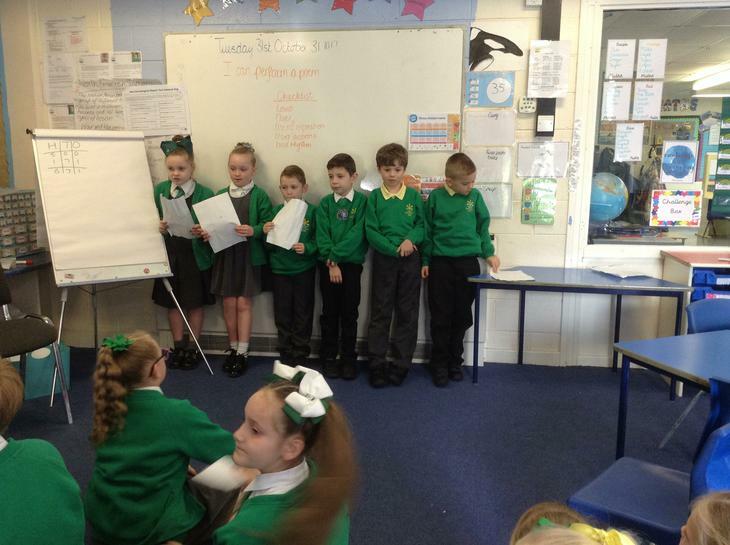 Have a look at our pictures! 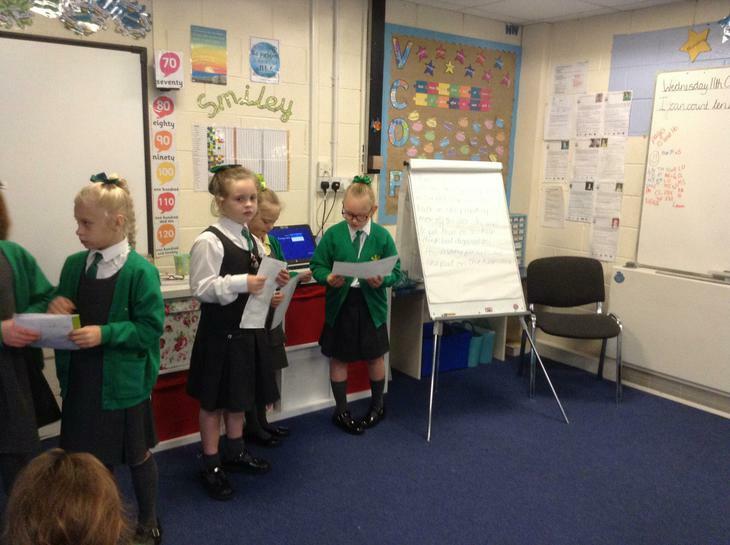 We really love writing in year 3, and so far, we have looked at some really great topics! 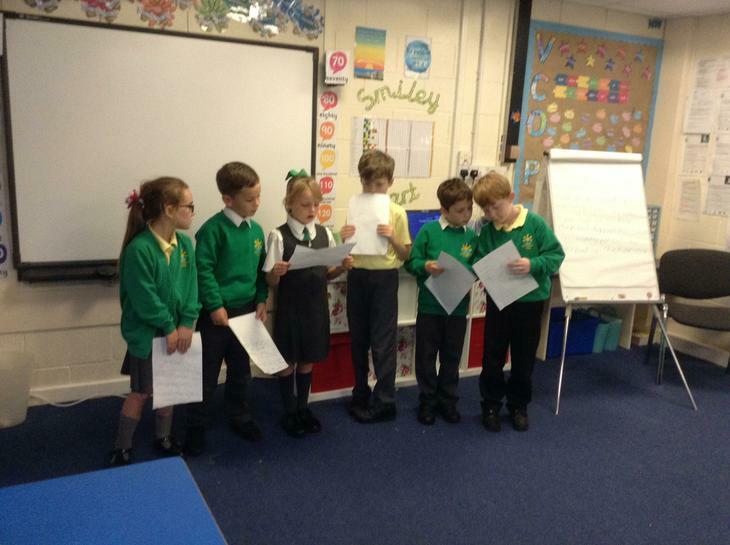 We have read lots of books by our author, Michael Foreman, and then we wrote a story in his style. 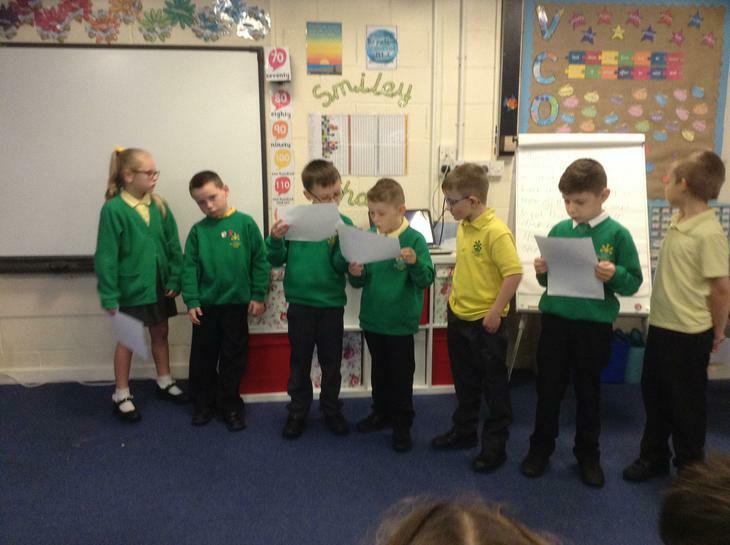 To do this, we used a lot of role play and story retelling! 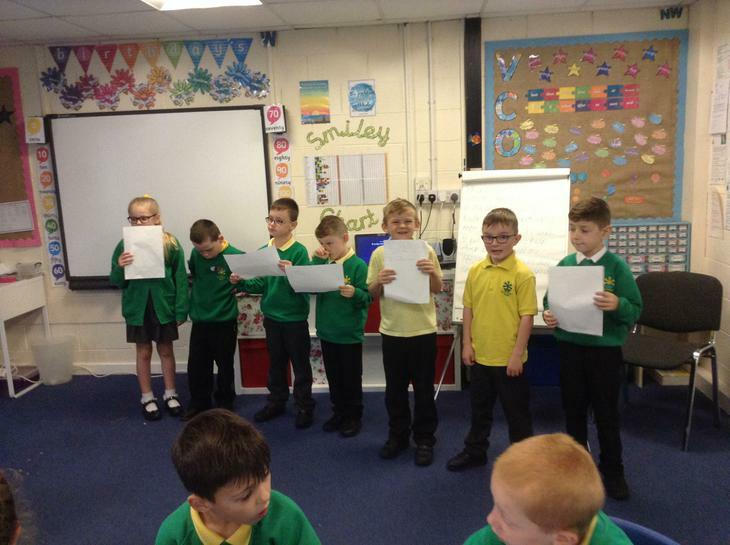 We also created a non chronological report that linked to our topic about the Native Americans, which we found a bit tricky, but we were able to identify the features of them really quickly! 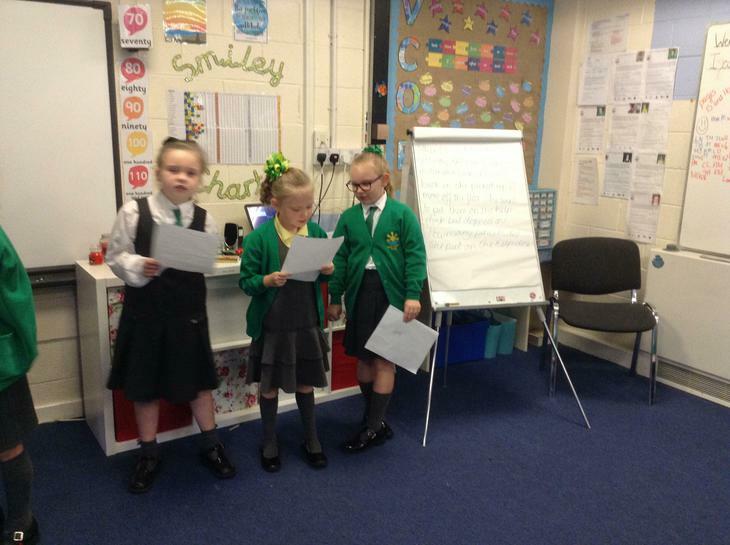 Poetry has been our favourite topic so far though! 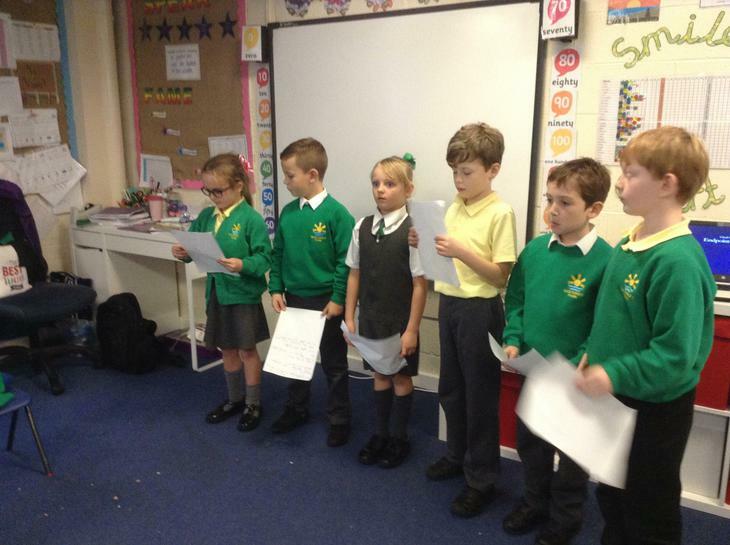 We looked at lots of things that surrounded the war and thought about how we would feel if that had been us or a member of our family, and we wrote lots of lovely poems ready for Remembrance Day. 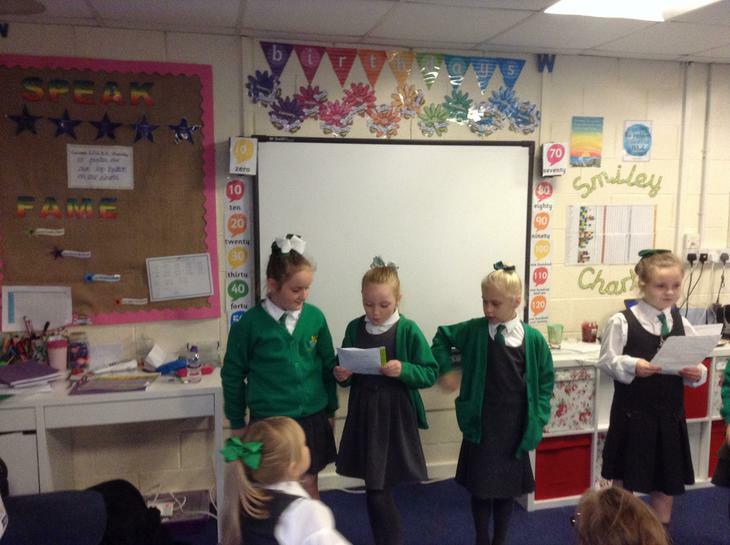 During our writing of non-chronological reports, we read a lot of non-fiction texts to help us understand what they were like. 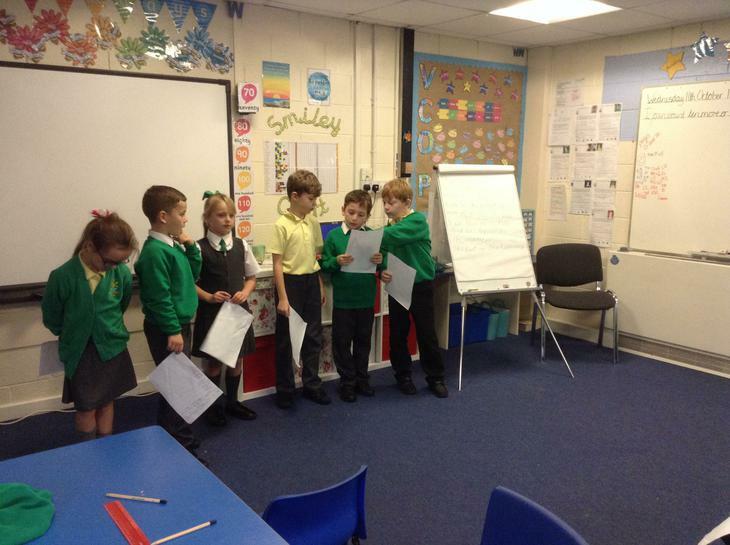 We used post it notes to identify the different features of a non-chronological report. 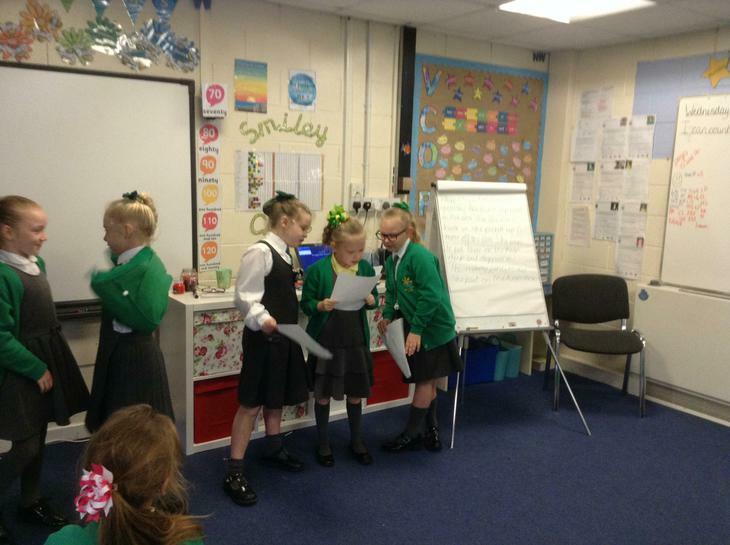 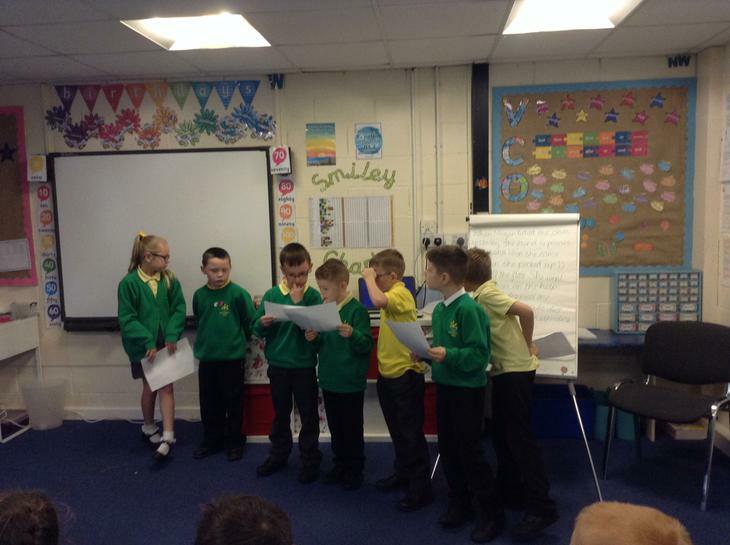 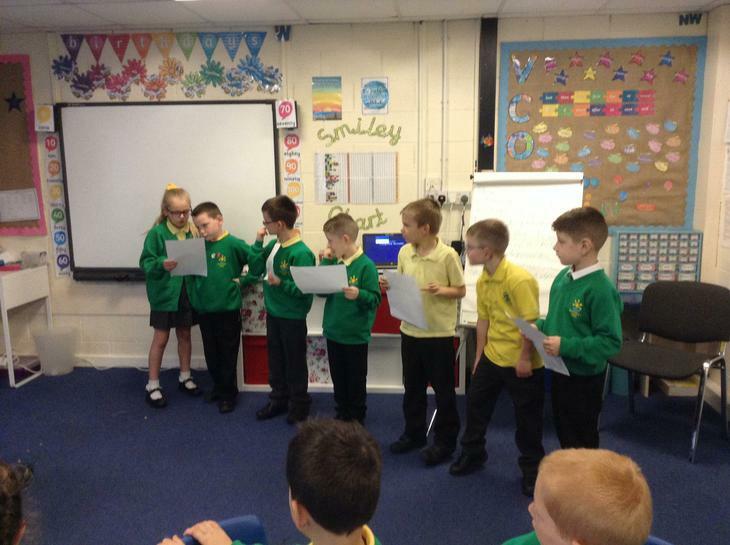 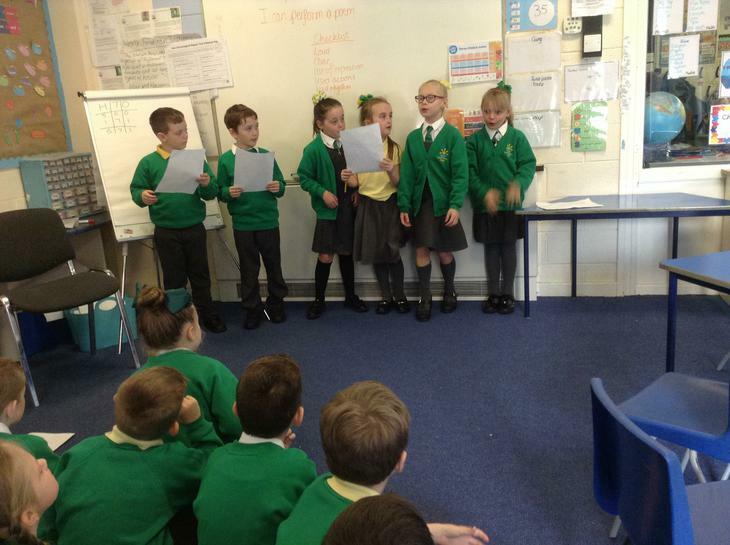 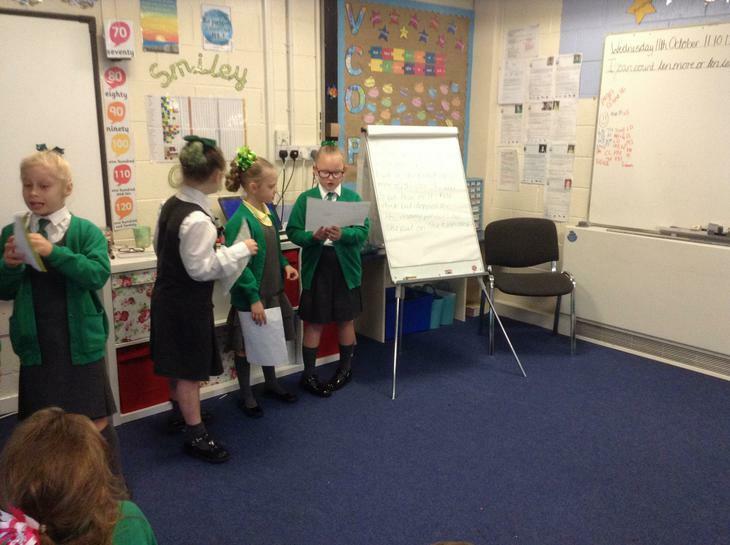 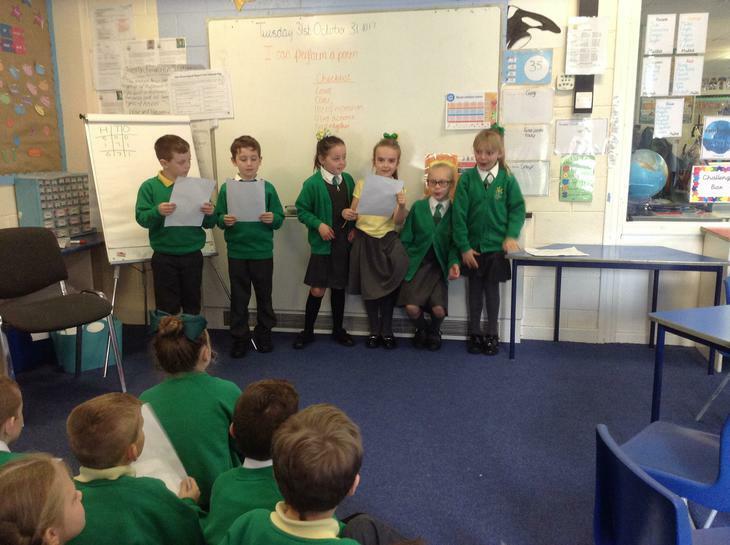 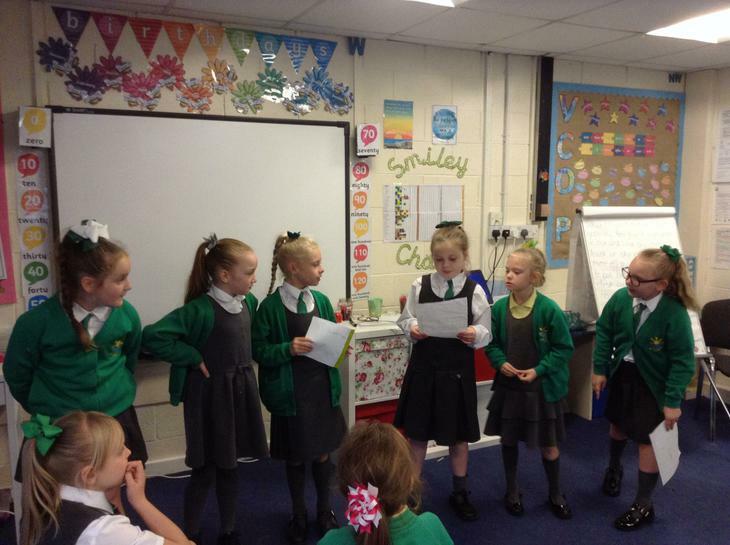 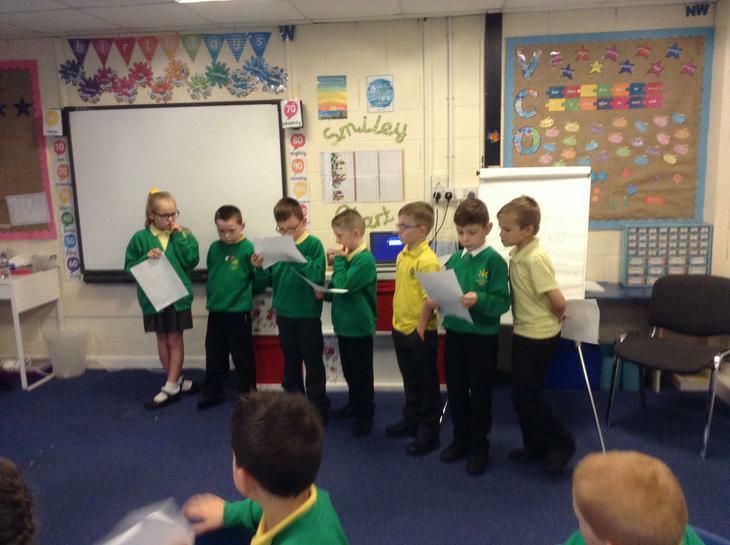 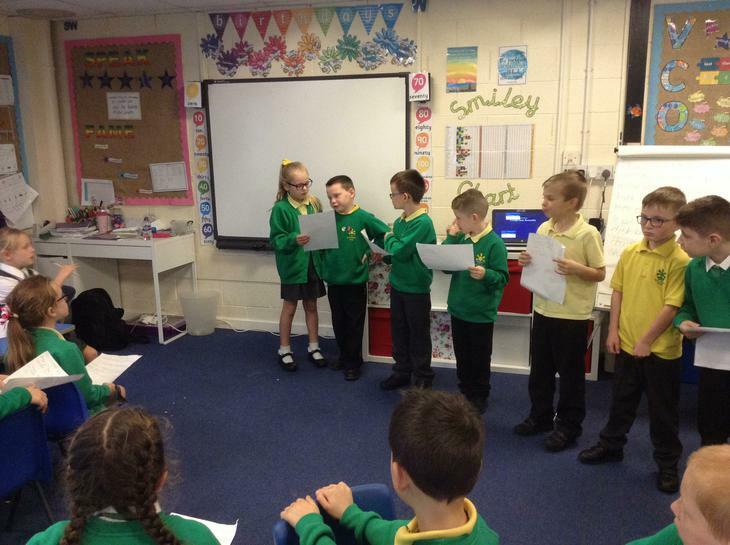 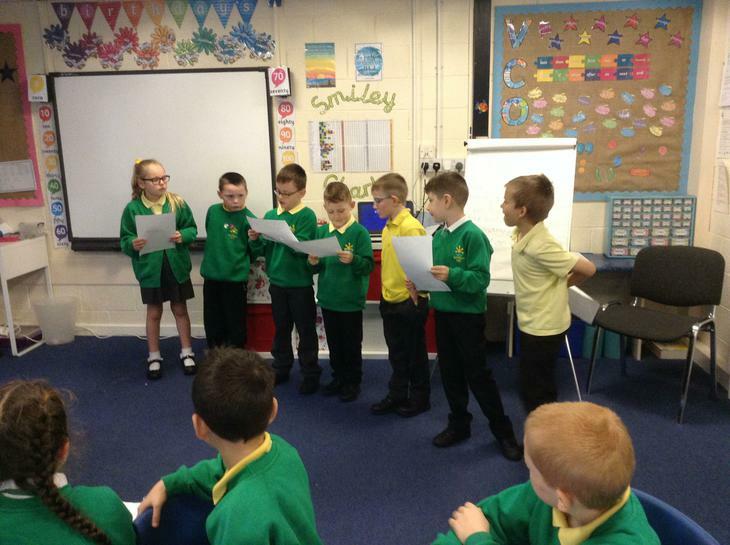 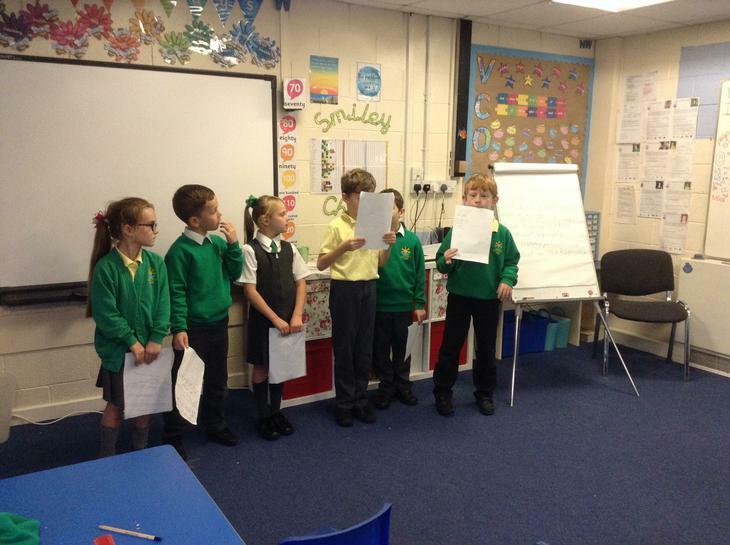 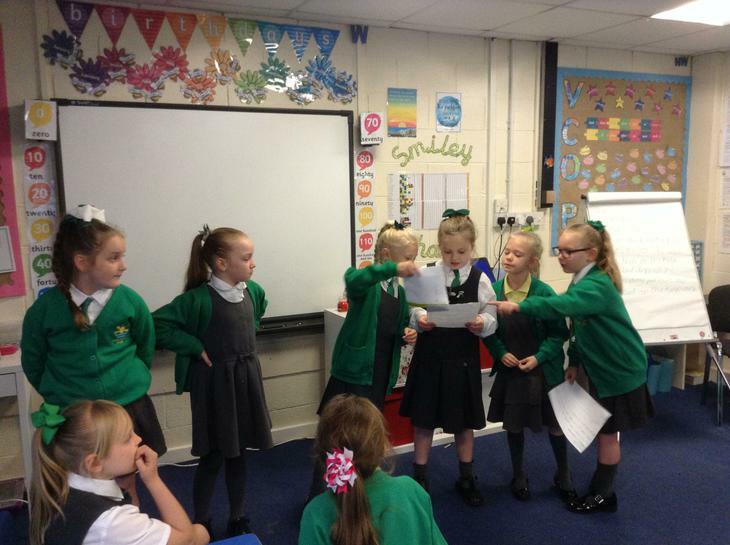 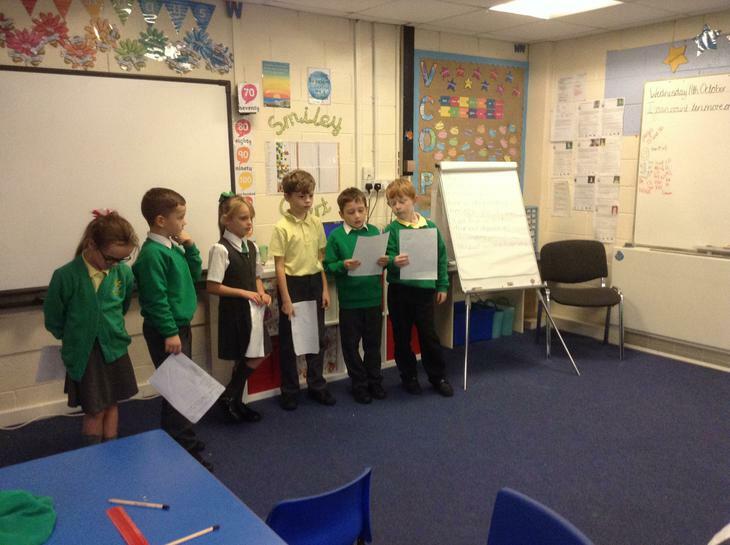 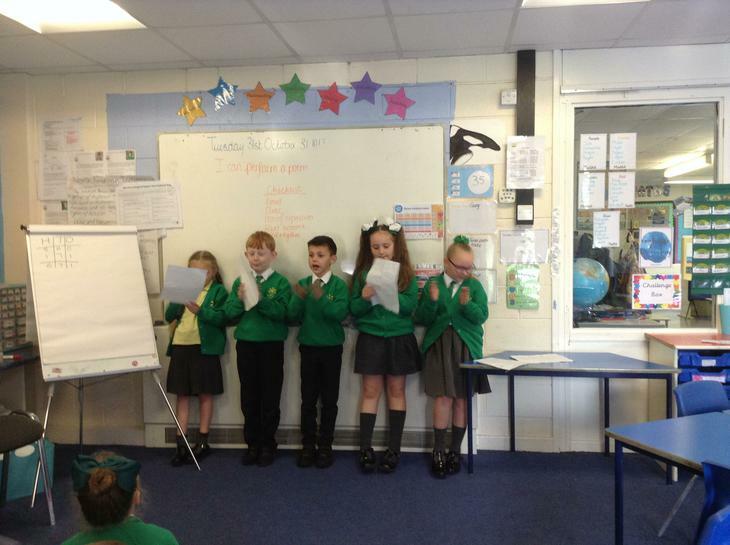 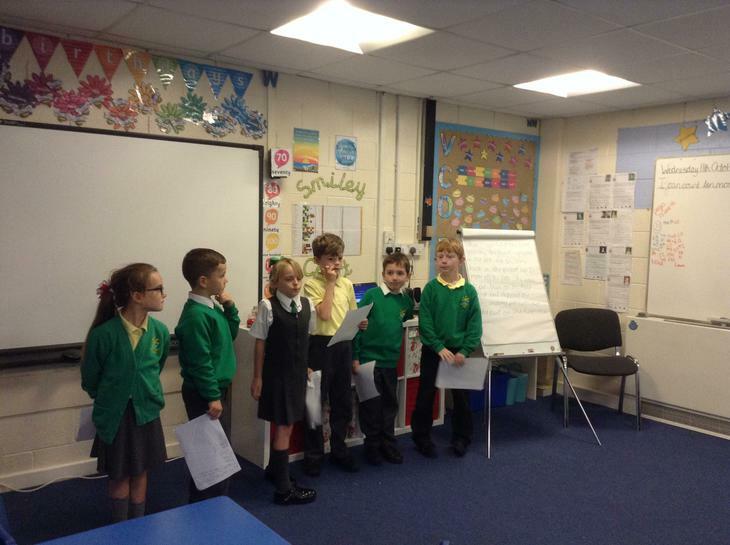 We learnt about performance poetry and the best ways to perform these poems.